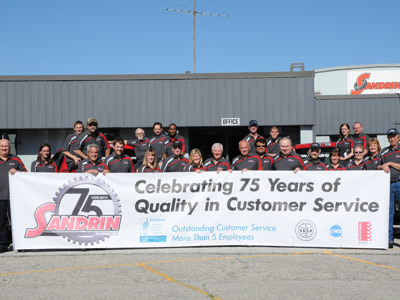 Sandrin Services Inc. is a family owned business in its third generation. We work to quality levels under ISO 9001:2008 certification; our fabrication facility operates to TSSA and C.W.B. Standards and our motor shop to EASA standards. 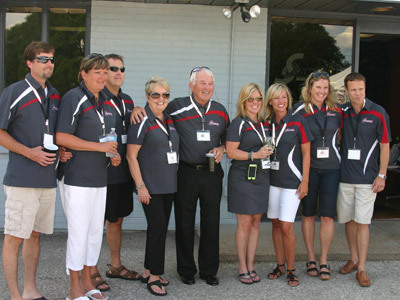 Our Sarnia Lambton I.E.C. Safety Management Assessment is at a 95.66% compliance level. We have recently integrated a new CNC Plasma / Oxy Fuel Cutting Machine giving us the ability to cut larger plate and pipe. Our new Pump Testing Tank complements our pump repairs and overhauls, and our new Baker AWA High Output (HO) gives us the ability to electrically test motors up to 12,000 HP on-site or in our shop. We continue to specialize in Fleetfusion (our patented owned spiral weld process); Machining; CNC Manufacturing; Insitu machining (on-site or in place) flange facing up to 40” O.D. ; Welding; Fabrication; Overhauls of compressors - pumps – gearboxes- blowers – compressors – centrifuges - electric motors; New & Used Motor Sales; Dynamic Balancing; Refurbish Babbitt Bearings; Valve Manufacturing and Repair Services, Ship Repairs and other General Maintenance. Our office at 150 Exmouth Street in Sarnia remains situated on our 5-acre site with a 40,000 sq. foot facility. Over the years we have handled almost every known general machining/ welding repair / motor overhaul and plant maintenance function on site and/or in the field for industries in both Canada and the USA. Our employees have always been a key ingredient to our successful operation and we boast one of the strongest complements of skilled trade personnel in the area, providing quality and service on an international scale. Safety has become a major objective in our company with constant education, regular shop meetings and safety awareness reminders taking place to ensure all our staff performs their jobs in a safe manner so they return home at the end of the day to their families. 1938 - Kirkland Lake Machine & Welding started as a welding & machine shop repairing local mining equipment by brothers Arthur & Albert Sandrin in Kirkland Lake, Ontario. 1950 - Arthur was enticed to move to Sarnia and open a small machine repair shop to service the black gold (oil) industry operating as Sarnia Machine & Welding Works Limited (at a cost of $3,500) on 177 Samuel Street by Walter Herridge of Curran/Herridge Construction Company. 1965 - : the company expanded, not only with the second generation as Lucio and Wally joined Arthur’s team, but also by moving to their current 5 acre site at 150 Exmouth St. This allowed them the room they needed to better service their customers with closer access to their expanding marine repair and construction business. At this time the company was renamed Sandrin Brothers Limited. 1968-1989 - we expanded our services to include Marine Construction – we installed and repaired many of the seawalls / docks / groynes along the lake and river including Wallaceburg. During this time we purchased two tugs the Glenada (which is still in operation in Thunder Bay) as well as the Tusker. In 1976, we broadened our long-established service business to include a Marine Repair Division (known as Sandrin Canal). 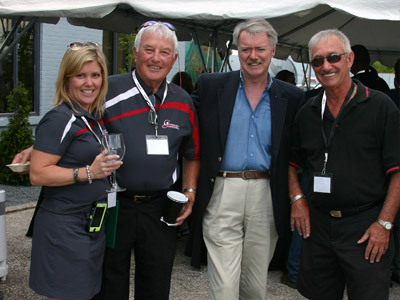 Later, we began a Dry Dock service located in Welland, Ontario, which remained in operation until 2011. In 1980, we had our first of many major turbine jobs. Since then our crews have been performing numerous gas and steam turbine jobs internationally, across the United States, across Canada from Shelbourne, Nova Scotia to Taylor, B.C. and in South America. This extensive experience has established Sandrin’s at an unparalleled level competitively. By providing quality workmanship, service, competitive pricing, on time and within budget. 1981 - 1996 - we owned the largest horizontal boring mill ($1M investment) requiring us to expand our shop the high bay addition in order to accommodate it complete with cranes and concrete re-enforced floors. 1988 - Sandrins was the first to retrofit 2 – 55 ton ship engines on board the Canadian Enterprise while the ship was dockside at the Sarnia Harbor taking ~ 3 months to complete. In 1995, we partnered as Sandrin Kirchmair Industries Inc. (S.K.I.) and expanded in detail tooling and machine manufacturing for the automotive, packaging and military industries. This enabled our company to provide expertise in design, tooling and machining for service and production volumes. In December of 1997, Sandrin achieved our ISO 9002 certification. The year 2000 we became 100% family owned again and changed our name to Sandrin Services Inc. reflecting the third generation involvement, as Deanna Sandrin assumed the position of General Manager. 2003 Sandrin's expanded into Motor Repair, Retail Sales and Dynamic Balancing to meet our customer demands and to complement our machining and field services. 2010 we manufactured and installed a 4’ x 4’ x 8’ Submersible Pump Testing Tank to complement our pump repairs, overhauls and sales. In 2013, we expanded our capabilities again to include a CNC Plasma and Torch Cutting Machine with a 5’ X 13’ table and Pipe Bed Length of 13’ with part nesting capabilities. 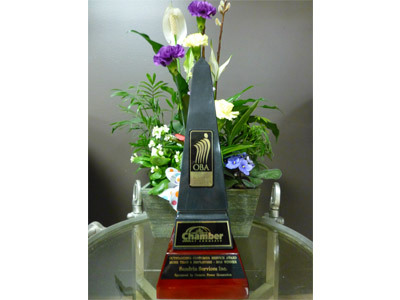 Sandrin’s was recognized in the business community by winning the Sarnia Lambton Chamber of Commerce Outstanding Business Achievement Award for Customer Service Over 5 Employees. 2013 also marked the celebration of 75 years in operation. "We Manufacture Quality and Sell Service"
We look forward to continue meeting the demanding challenges that our customers are facing today. Please do not hesitate to contact us if we can be of any assistance to you.